We know summer doesn’t officially begin until June 20, but we’ve decided to celebrate early! Memorial Day weekend is the perfect time to welcome good weather and great company. Feeling extra patriotic? We’ve got the perfect menu for you! Fireworks have nothing on this exciting, flavor-packed food lineup we’ve put together. For the ultimate barbecue experience, we recommend cooking everything outside on the grill while you entertain. After all, everything tastes better with grill marks, right? 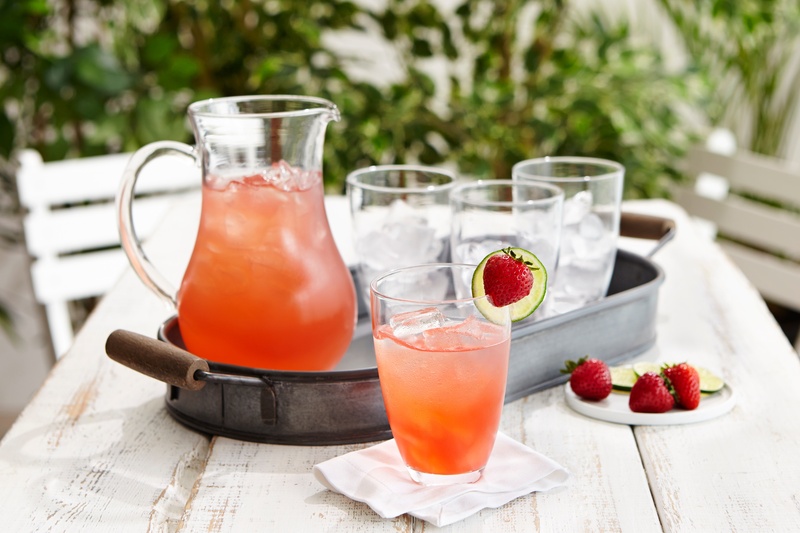 When guests show up thirsty on a hot day, our Strawberry Aqua Fresca serves as the best remedy. Nothing says “Welcome summer!” like this sweet and refreshing beverage! Delicious on its own or mixed with your favorite spirit (psst… we recommend vodka, bourbon or tequila), this strawberry delight will kick your party off in the most energizing way. Is it truly a barbeque without a heavenly mix of cheese and meat for you to dunk warm crostini bread into? 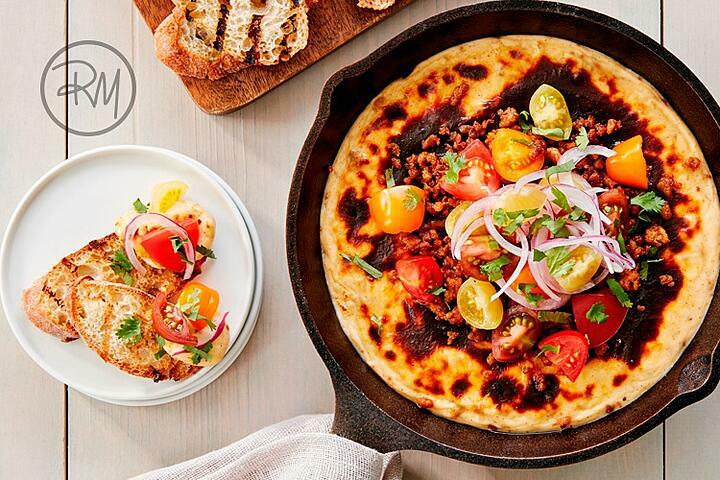 Take your backyard appetizer game to the next level with the Wild Wonders® Fundido. You’re sure to be named the Memorial Day barbeque champion with this mouth-watering dish. BONUS: pairs great with an ice-cold beer. Ready for more? Everyone knows barbecue’s BFF: a thick, juicy burger. Jazz up your traditional recipe with unbelievably sweet, fire-kissed tomatoes. 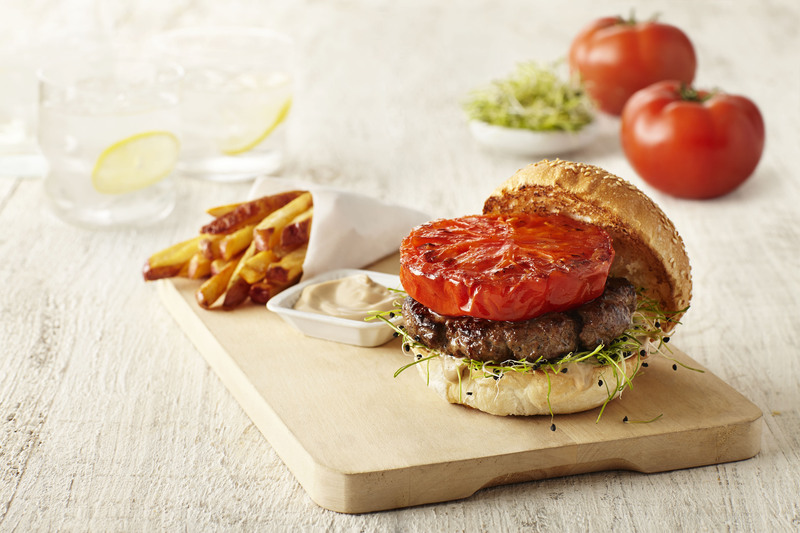 The Bruleed Broiler Burger will leave your guests amazed after just one bite. Now you’re ready to grab your best patriotic gear, fire up the grill, and have the best Memorial Day bash ever! Happy grilling!